On April 11-13, 2016, the National Library of Medicine will host the workshop “Images and Texts in Medical History: An Introduction to Methods, Tools, and Data from the Digital Humanities” funded by the National Endowment for the Humanities (NEH) through a generous grant to Virginia Tech, and held in cooperation with Virginia Tech, The Wellcome Library and The Wellcome Trust. Seventy-Five participants and observers will gather to explore innovative methods and data sources useful for analyzing images and texts in the field of medical history. The program will include hands-on sessions with Miram Posner and Benjamin Schmidt and a public keynote address by Jeremy Greene. Circulating Now interviewed the presenters and today we hear from Miriam Posner. Circulating Now: Tell us about yourself, your education, and how you became interested in the history of medicine and the digital humanities? 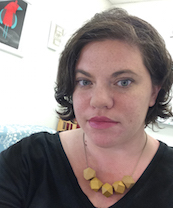 Miriam Posner: I’m the Digital Humanities (DH) program coordinator and a member of the core DH faculty at the University of California, Los Angeles. That means that I keep the trains running on time for our DH minor and graduate certificate, and I teach a variety of DH classes. We have about 60 undergraduates and 30 graduate students at the moment, so it’s a big job! But our students are awesome, so I have fun every day. Believe it or not, I got interested in the history of medicine via Oliver Sacks. Not long after I graduated from college, I got hooked on Sacks’s books and was really captivated by some of the questions he raised: about how we know what we know, about what constitutes the mind, and about how we define the human. I started graduate school at Yale (in Film Studies and American Studies) with the goal of exploring those questions. My dissertation was about the way doctors have used photographs and film to construct the medical understanding of the human body. I really liked working on this because it highlights the fact that our apparently universal physiology is actually an understanding that’s specific to our historical time and place. Even though I enjoyed working on my dissertation, I didn’t love grad school, for the same reason a lot of people struggle in PhD programs: the isolation, self-doubt, and anxiety. For me, getting involved with digital technology was partly an outlet for stress. I liked the measurable progress I was making, and I liked the way other people were helpful and supportive. Learning technical skills isn’t like this for everyone, I know, but I was fortunate to find wonderful mentors, particularly at Yale’s Instructional Technology Group. By the time I graduated, I was experienced (or delusional) enough to go on the market as a digital humanities scholar, and the rest is history! CN: How do libraries and archives contribute to your scholarship? MP: Libraries and archives are absolutely crucial to my scholarship. First, the National Library of Medicine has been an invaluable partner to me at every step of my research—from early exploration of my topic to deep dissertation work. Its archivists and librarians have always been remarkably willing to sit down with me and help me understand the contours of its massive collections. And the fact that they even collect historical audiovisual materials is critical. Otherwise, this stuff would have long since vanished, like a lot of non-theatrical media already has. 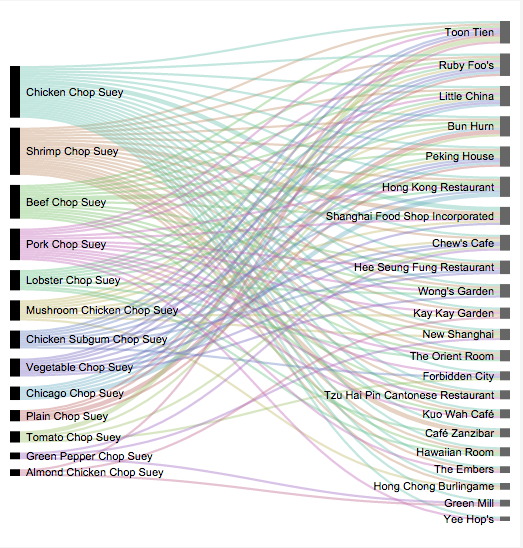 An alluvial diagram, developed by UCLA students for Project Chop Suey in 2016, shows some varieties of the dish and their distribution across the restaurants in the database. Now, I work with libraries and archives very closely on a lot of my digital humanities work. For one thing, that’s where all the data is! Libraries contain huge piles of metadata, and my students and I love to build projects based on it. For example, a group of my students from last quarter explored the history of chop suey using data drawn from the New York Public Library’s collection of menus. Another group used the Tate’s metadata to build an impressive project about JMW Turner. And we couldn’t do any of this without the help and expertise of librarians and archivists, who have been terrifically helpful to us. CN: How has your classroom experience shaped your approach to the digital humanities and medical history? MP: Classroom experience is important to anyone, but it might be especially important to digital humanities scholars. Students ask the very best, most fundamental questions—the kind that make you question your own assumptions. Plus, explaining technical stuff to a group is the very best way to break it down into its component parts, so that you get a handle on every step. And my students are often my collaborators, too. Every spring, I work with a group of students on a digital project, and our experience working together has been so important and meaningful that it inspired us to draft UCLA’s Student Collaborators’ Bill of Rights, where we lay down some principles to help others ensure that they treat student collaborators with respect. CN: How do you connect your scholarship to contemporary issues in health and medicine? MP: I think it’s crucial to understand where our ideas about health and illness come from. For example, my work on the history of lobotomy helped me see the ways in which notions of “mental health” could drastically differ from one historical period to the next—with sometimes disastrous results for people who are diagnosed as ill. So when I hear about medical advances today, I’ve trained myself to think, “But how will that seem from the perspective of the person who’s receiving that treatment?” Sometimes the things we think are good for us as a society aren’t the same things that an individual person wants. And I’ve come to believe that this latter factor should be our primary criterion for the value of a procedure. CN: What do you hope that workshop participants will gain from attending your session? MP: On a technical level, I hope to demonstrate how scholars can use computer vision to extract images from large piles of historical materials. But on a more fundamental level, I hope it gives people some new ideas about how they might make use of historical sources, especially when they’re available at scale. Historians of medicine have known for a long time that visual evidence is a crucial component of medical history, but image-mining gives us the ability to work with that evidence at scale. I’m especially interested in the way that these techniques churn up not only the prized images that tend to have been preserved in archives, but the more quotidian visual evidence that was part of the day-to-day business of the medical profession. 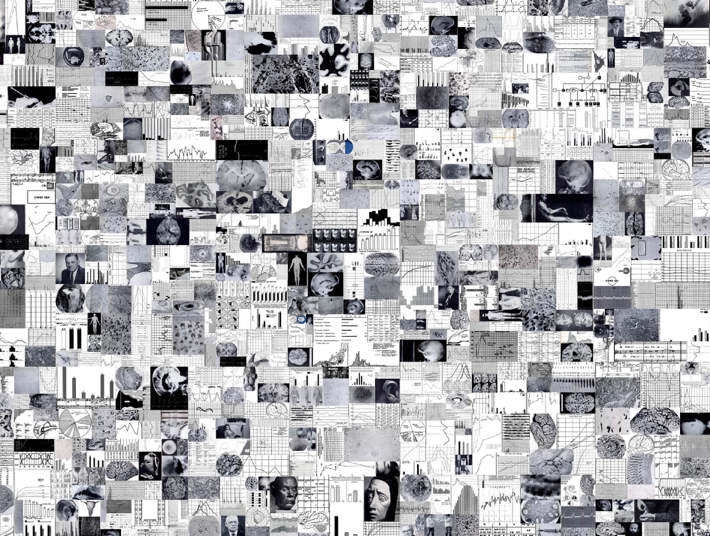 A mosaic of some of 3,000 images automatically extracted from journal articles published in the American Journal of Psychiatry between 1910 and 1970. Patient faces are conspicuously absent. CN: Have you ever made a discovery in your scholarship that made you say “Wow!” ? MP: I have! Most recently, I completed an image-mining project on the American Journal of Psychiatry. I was hoping to find lots of images of patients, which would support my idea that psychiatrists in the middle of the 20th century used the human face as an important diagnostic tool. But I found hardly any patient photos! Lots of charts and graphs, but very few patient photos. And yet, I knew that physicians were taking tons of patient photographs. So what were they doing with them? This discovery forced me to re-evaluate the archival work I’d done, and I quickly realized that physicians were actually presenting their photographs in live lectures, not publishing them in journals! This realization sparked my current theory that the rhetoric of published, journal-circulated medicine differs in important ways from “live,” performative medical lectures. I wrote more about this here. “Images and Texts in Medical History: An Introduction to Methods, Tools, and Data from the Digital Humanities” will be held April 11-13 in the NIH Natcher Conference Center in Bethesda, MD. Two sessions will be free and open to the public, see the full schedule here. Current information about NIH campus access and security is here. The Keynote Address on Tuesday, April 12, at 11:15 ET will be live-streamed globally and subsequently archived for future viewing, and if you are on Twitter you can follow the event @medhistimage and at #medhistws. With thanks to our collaborators at Virginia Tech, Tom Ewing, Claire Gogan, and Jonathan MacDonald.